Memphis is the first city to have the honor of repeating as Triple-A National Championship Game host since the game moved away from being played annually in Oklahoma City in 2011. The Redbirds previously hosted the game in 2016, a 3-1 win for the IL's Scranton/Wilkes-Barre RailRiders (Yankees) over the PCL's El Paso Chihuahuas (Padres), in front of a raucous Downtown Memphis crowd of 9,471. "We are thrilled to have the honor of hosting the Triple-A National Championship Game once again at AutoZone Park," Redbirds President/General Manager Craig Unger said. "This is a fantastic way to finish the 20th season in AutoZone Park history, and being selected as repeat host is a feather in the City of Memphis' cap as it celebrates its 200th anniversary. The 2016 game in Downtown Memphis was a huge success, and it is exciting to know that if the Redbirds three-peat as PCL champions they would be playing for another Triple-A crown in front of a hometown crowd!" 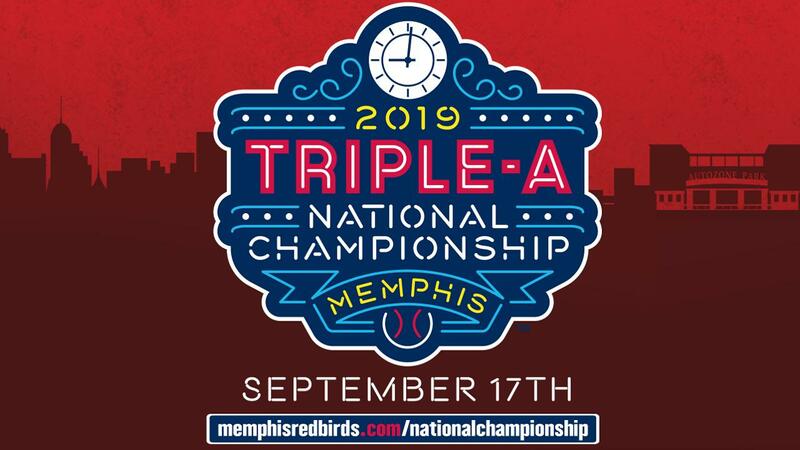 For more information on the 2019 Triple-A National Championship Game, visit www.memphisredbirds.com/nationalchampionship.